What Are The Main Causes Of Back Injuries On The Job? Did you know that according to the Occupational Safety & Health Administration (OSHA), back injuries account for around 20% of all workplace injuries in the United States? As always, OSHA and other workplace safety administrations are focused on determining what causes serious injuries like these so that in the future, additional injuries can be prevented. So what exactly are the main causes of back injuries? Not only should employees be given training on how to lift heavy loads and how to use tools to help them lift, but they should undergo reviews to keep that information fresh. It’s easy to start a bad habit and if a supervisor notices an incorrect method or posture being used, they should inform the employee immediately. Frequent reminders should be given to all employees about posture and how to hold the object being lifted. Anytime that someone performs a task over and over it becomes so mundane that they actually forget the actual risks involved with that task. It’s also easy to forget to do things like take breaks and stretch. This is why it’s important for employers to teach employees about how a back injury can impact their entire life and to teach them to be self-aware. To many employers, time is money. But when they push employees to work faster and harder, that’s when injuries happen. What Should A Worker Do If They’ve Injured Their Back? Go To The Doctor: The worst thing that any person can do is ignore back pain. It’s important to see a doctor immediately as often the injury will only get worse if left untreated. Notify The Employer: In order to move forward with claims for compensation in the future, the employer must be notified about the injury, usually in writing, within 30 days. Contact A Workers’ Compensation Lawyer: This might not seem like a necessary step but did you know that the majority of workers’ compensation claims are denied? Anyone who works with an attorney before they file their initial claim has a much better chance of having their claim approved by the insurance company immediately. 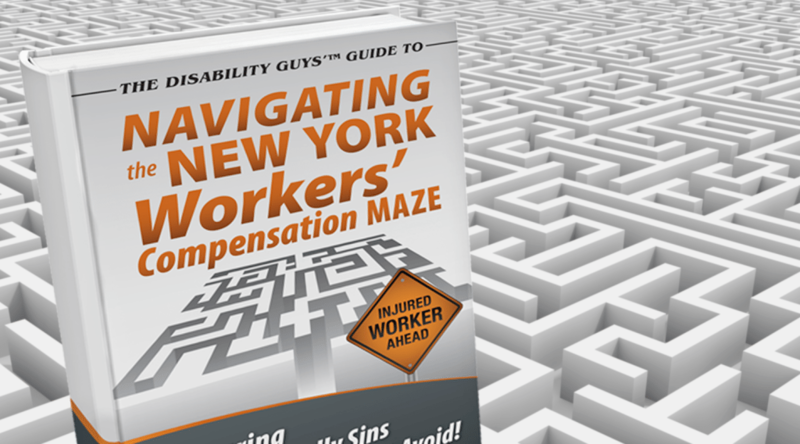 Isn’t Worker’s Compensation No-Fault? Why Are Claims Denied? Yes, workers’ compensation insurance is no-fault, which means that even if the employee contributed to the accident or actions which caused their injury, they should still be covered and provided with compensation for their medical expenses and if needed, a portion of their lost wages. However, because insurance companies are more interested in saving themselves money than they are helping people, adjusters are often trained to find ways to deny a claim in the hopes that the applicant won’t appeal and the company will save money. Mistakes on a claim form, missing or unclear medical records, or even an employer contesting the claim are all common reasons for a denial. It isn’t uncommon for a back injury to end a career but many workers don’t have the financial support system needed to cover their everyday expenses. However, a Social Security Disability claim or a Supplemental Security Income claim can help a disabled worker get the compensation they need. Sadly, it’s even more difficult to have one of these claims be approved than it is to obtain workers’ compensation insurance and even though there is an appeals process, there is a backlog of appeals which means that the average time it takes just to get a hearing scheduled is around 17 months. Once again, working with an attorney greatly increases the chances of a claim being approved the first time it is submitted.